In honor of National Engineers Week (February 19-25), we bring you our annual shout-out to the most powerful women engineers in US tech. Yes, the tech industry is doing a well-documented terrible job in attracting women into engineering. And once they enter this male-dominated world, some women are subject to some appalling sexism and sexual harassment. But that tells only part of the story. There are women who are leading important tech teams at important companies. And there are women who are building cool cutting-edge technologies at startups. In other words, there are women having fabulous careers as engineers, building the technology that millions of people use on a daily basis. With that in mind, here are 43 powerful American women who are developers, designers, engineering directors, bio scientists, nuclear scientists, and rocket scientists. 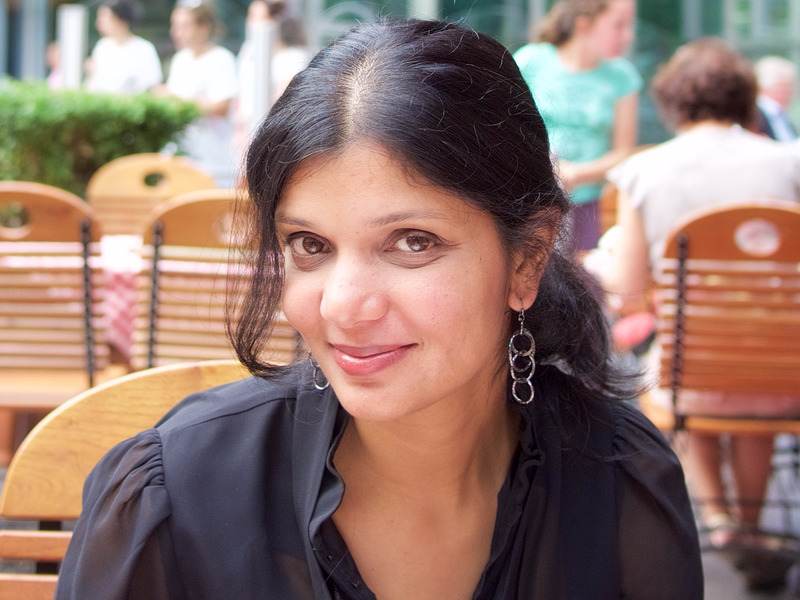 Selina Tobaccowala is founder of a new startup, Gixo. But she’s well known in the Valley as the former president and CTO of SurveyMonkey, working on it for nearly seven of its big growth years. 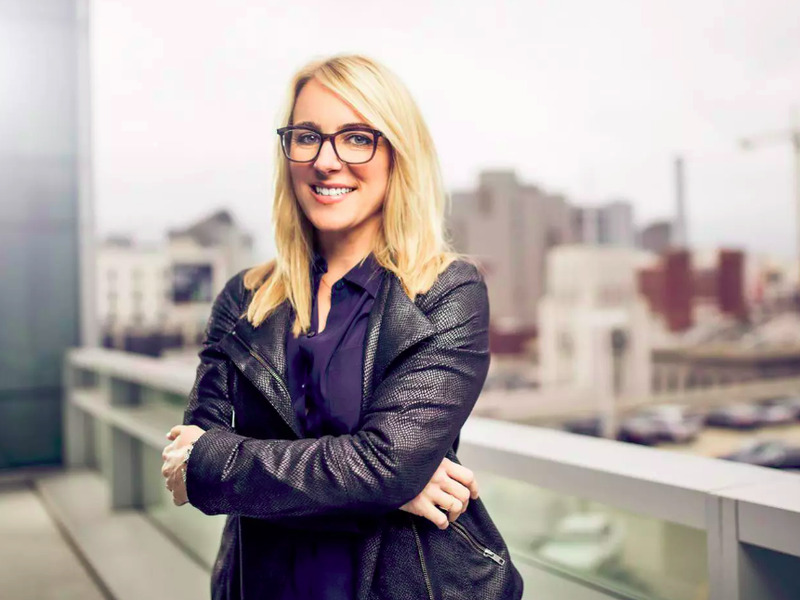 She’s the former SVP Product & Technology for Ticketmaster Europe, having landed there after it bought the startup she co-founded back in 1997, Evite. She was the vice president of engineering at Evite. Gixo is still in stealth but many people in the Valley already expect good things from it, thanks to Tobaccowala. 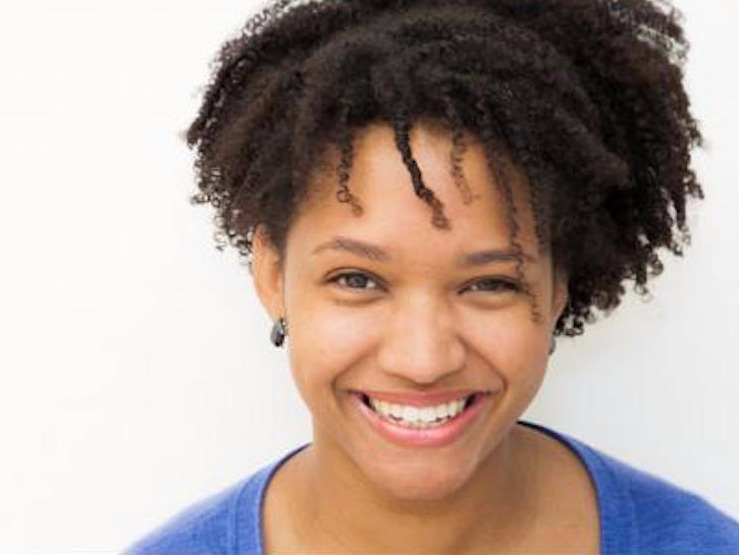 Kamilah Taylor is a senior software engineer at LinkedIn (which was recently acquired by Microsoft). She’s been involved in all sorts of major projects at LinkedIn, including the rewrite of LinkedIn’s major app, messaging, as well as infrastructure, and the LinkedIn Learning iOS app. But she’s probably best known for her work in advocating for women and people of color in the tech industry. She’s the author of “Women in Tech: Take Your Career to the Next Level with Practical Advice and Inspiring Stories“, she volunteers her time for a bunch of organizations like BlackGirlsCode, she organized the Tech Beach Retreat in Jamaica and she speaks at conferences. 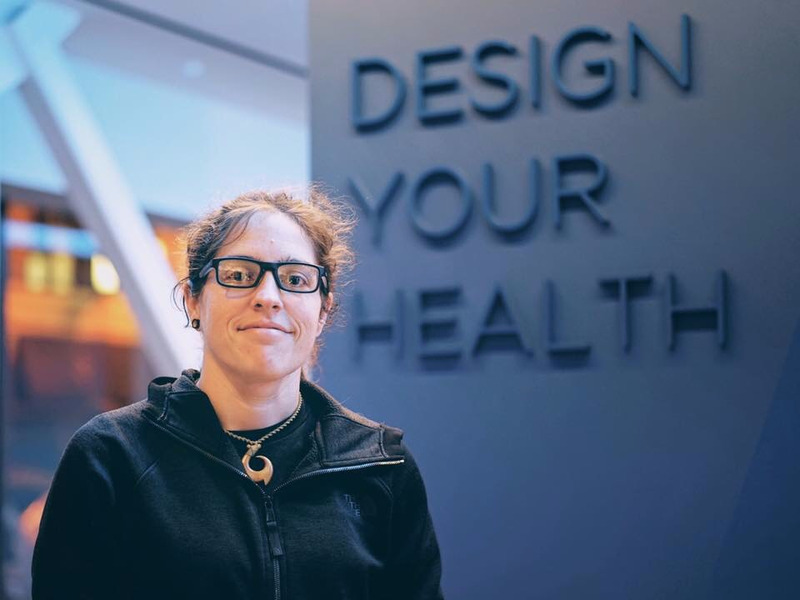 Casey Edgeton is the senior product designer at up-and-coming health care startup Forward. Forward is the much-watched concierge medical practice in San Francisco founded by former Alphabet exec Adrian Aoun and backed by a who’s who in tech (Marc Benioff, Eric Schmidt, Aaron Levie, Joe Lonsdale). Forward wants to reinvent health care by giving patients a private doctor and an artificially intelligent app that makes use of health tech from body scans to DNA tests. Plus, it charges a flat fee of $149/month and doesn’t bill insurance companies. Edgeton is the woman running the design team at Forward. She’s also one Uber’s first designers who helped develop the interface for its app. Julia Collignon is a senior manager at Tesla’s Renewable Energy Development. She originally joined Tesla to help it procure renewable energy (at her previous job, she worked as an engineer for solar panel company SunPower). But she was soon brought in as a project manager for its Powerpack product when Southern California Edison wanted the project done in a mere three months. She led the engineering procurement and construction. Powerpack is Tesla’s push into expanding beyond the car industry, into renewable energy. It involves integrating stacks of Tesla batteries into the power grid. The batteries ingest electricity during the day, when solar sources are high and spit it out at night, when demand spikes. It reduces reliance on fossil fuels and is an alternative to nuclear power. 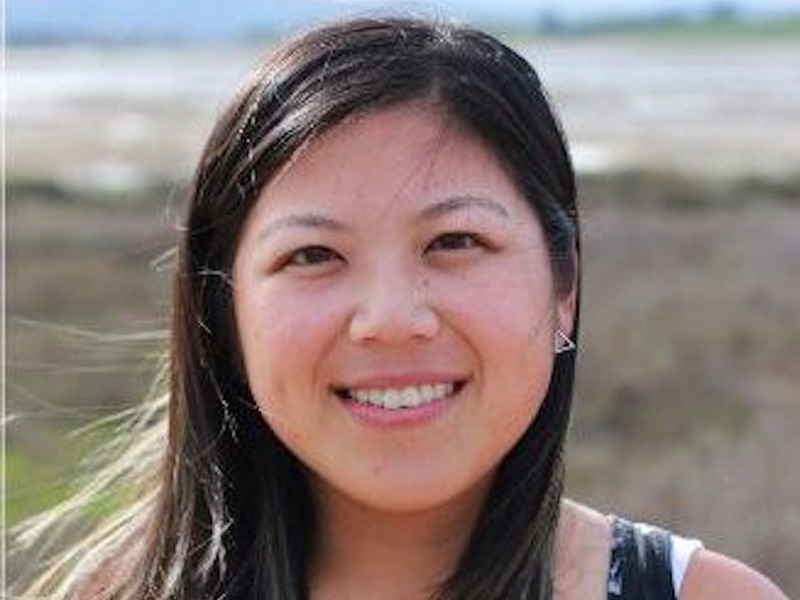 Raylene Yung is an engineering lead at Stripe. Yung leads the product engineering team at Stripe supporting areas such as the Stripe application programming interface and dashboard. Stripe is the fintech startup that has upended the payments industry and raised $460 million in venture investment at a whopping $9 billion valuation. Yung has been there for about two years after starting her career at Facebook and working her way up to a director there, focusing on areas like privacy, sharing, and News Feed. 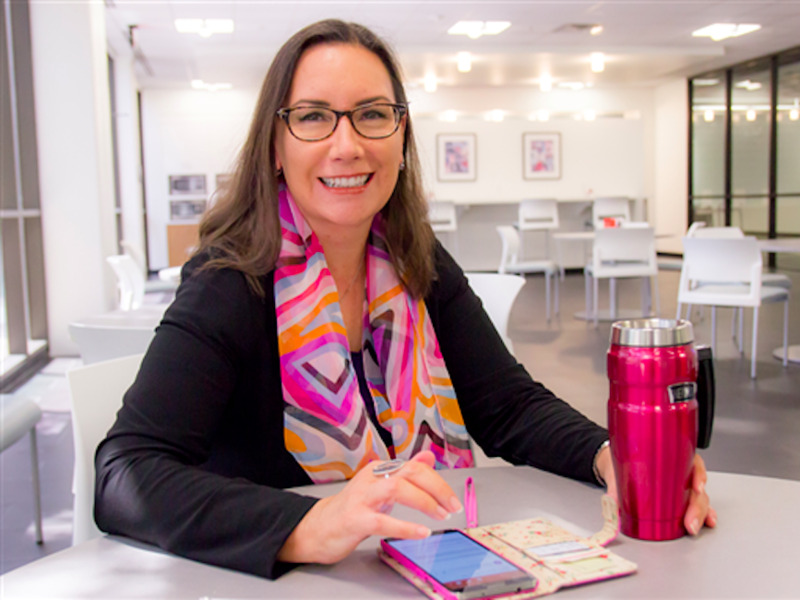 Stephanie Butler is a Technology Innovation Architect at Texas Instruments. As that title implies, one of the things she’s done at TI is to create a method where tech teams work better together and develop products faster. She’s used that method to help create “profitable technologies” that range from “control algorithms to materials to manufacturing processes to new semiconductor products,” she said in a 2015 interview. It’s also led to at least 16 patents and is why Butler was the 2016 recipient of the highest award from the Society of Women Engineers. 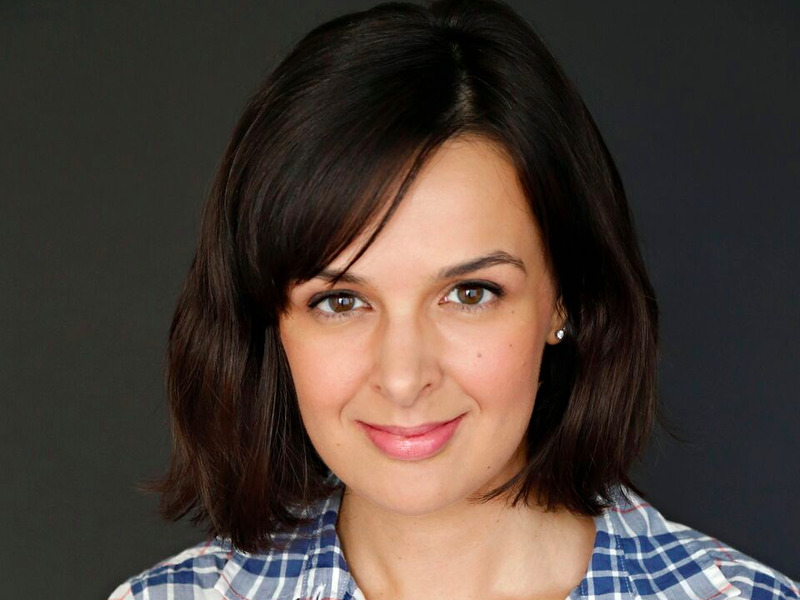 Natalia Burina is director of product management in Salesforce’s Community Cloud business. Burina is currently helping to build Einstein, the artificial intelligence technology that Salesforce is embedding into nearly all of its products. 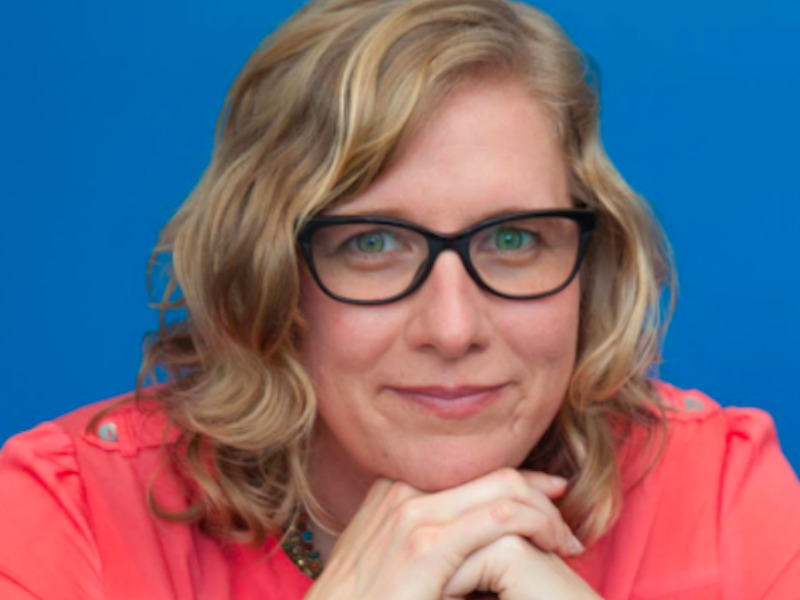 She’s helping to bring Einsten to the Salesforce Community Cloud, a tool that lets companies build web portals for their customers, employees or partners. Prior to this, she built and founded Parable, a photo network bought by Samsung. Burina also serves as a mentor for the Stanford Society of Women Engineers. Surabhi Gupta is an engineering manager at Airbnb. She leads the 100+ person “marketplace conversion” team, which includes features like search, pricing and booking. Prior to Airbnb, she was a software engineer at Google where she worked on web search ranking and predictive search functions of Google Now. Internally, she’s known for starting the company’s women in tech group, Nerdettes, and an event series for female engineers there called Taking Flight. She also championed the fight for better maternity and paternity benefits at the company, and won. April Underwood is Slack’s VP of Product. Her rise at Slack was meteoric, but not unexpected. She joined in 2016 as head of platform, responsible for Slack’s App Directory. The broad selection of apps that integrate with Slack, a group chat app, is one of the key reasons for the startup’s success. So it’s not surprising that Underwood was soon a leader of the whole product. Prior to Slack, Underwood was the director of product at Twitter. She’s also a member of a band of current and former female Twitter alums known as #Angels, which invests in and advises startups. Cheryl Porro is senior vice president, Technology and Products at Salesforce.org. Salesforce.org is the non-profit organization at the heart of the company’s “1-1-1” philanthropic philosophy, in which it donates 1% of its equity, 1% of its employees’ time and 1% of its product to causes. More than 30,000 non-profits and higher education orgs use the products on Salesforce.org and her team is constantly rolling out more. Alyssa Henry heads engineering for Square (although, technically, her title is Seller Lead). She’s a member of the Square exec team and oversees all the engineering, design, and product management teams for Square’s software products. 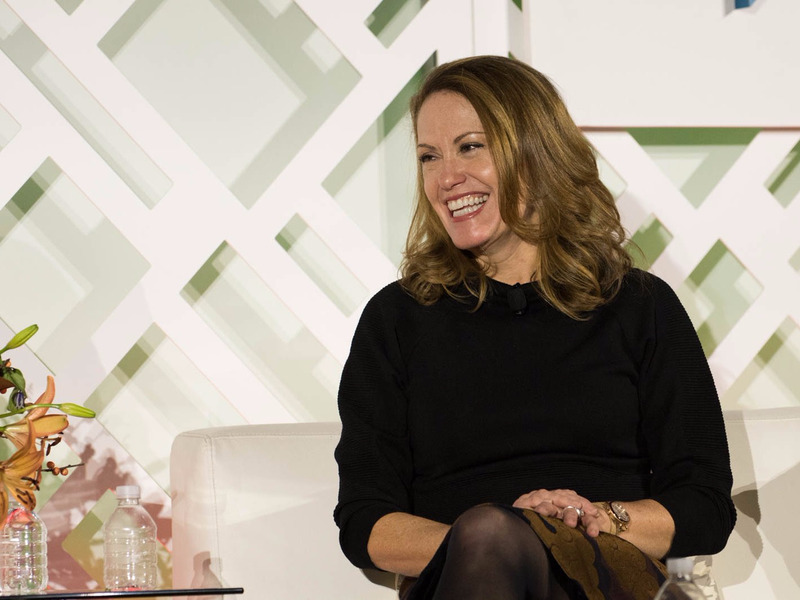 She’s been called one of CEO Jack Dorsey’s secret weapons at Square. She joined Square in 2014 and was quite the catch. Prior to that, she was the general manager of Amazon’s cloud storage service, S3, which shook up the enterprise data center world. She spent 12 years at Microsoft prior to that. Anne Aaron is director of Video Algorithms at Netflix. She leads a team of software engineers and research scientists. They make the software that enables more than 86 million Netflix members worldwide to watch streaming with the best possible quality. Aaron has a PhD in electrical engineering and distributed video coding and has been with Netflix since 2011, working her way up from senior engineer. 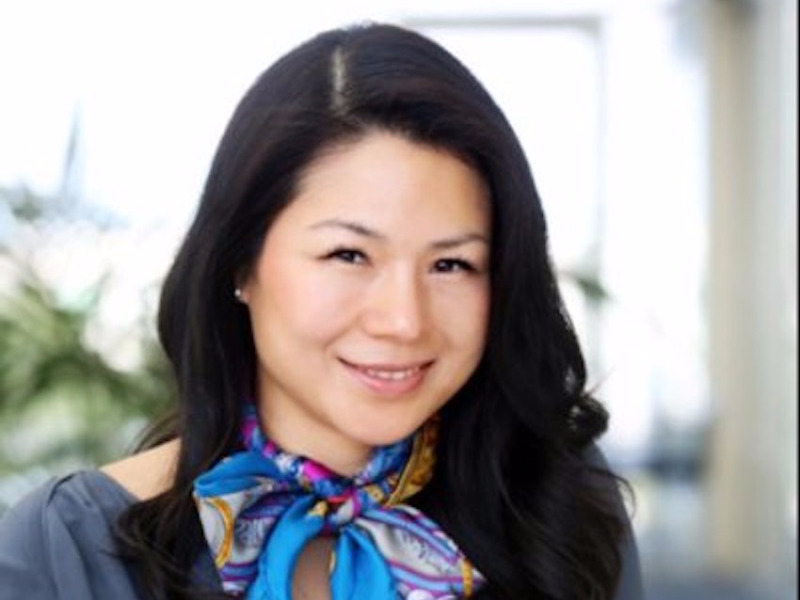 Lili Cheng is a distinguished engineer in Microsoft’s AI & Research division. Cheng is a 20-year Microsoft veteran currently working on smart, conversational bots (the Microsoft Bot Framework). In other words, Microsoft has no intention of ceding the voice interface market to Amazon Alexa, and Cheng is charged with making that so. She helped organize a two-day gathering of all things bot in New York known as Botness. Prior to her work on conversational AI, she was the director of user experience for Microsoft Windows. Internally, she’s known as the person behind Kodu Game Lab, a game for teaching kids programming, created seven years ago. Joyce Tung is vice president of research at 23andMe. 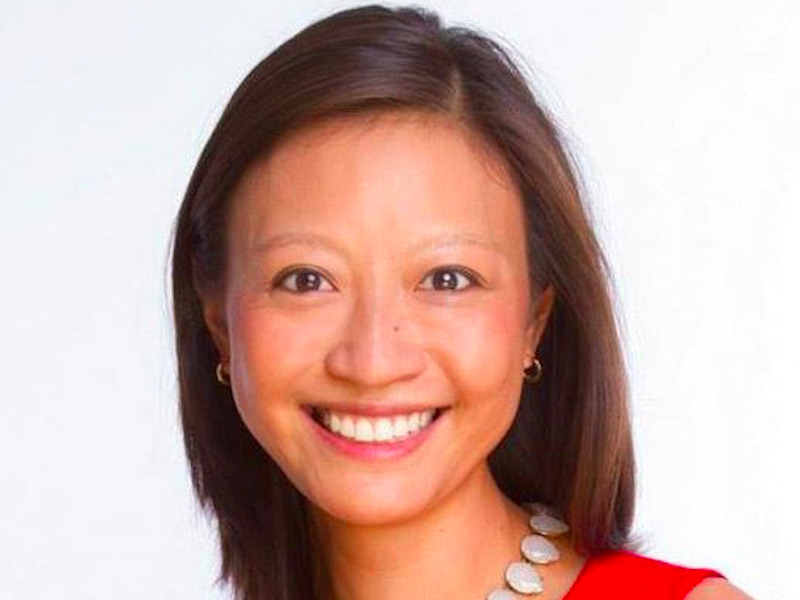 While Tung’s PhD is in biology and genetics, as opposed to engineering, she has a minor in computer science and is a key player at the company that pioneered home genetic tests. This is expected to become a $10 billion industry by 2020, and it will radically alter how people understand their ancestry and their bodies. 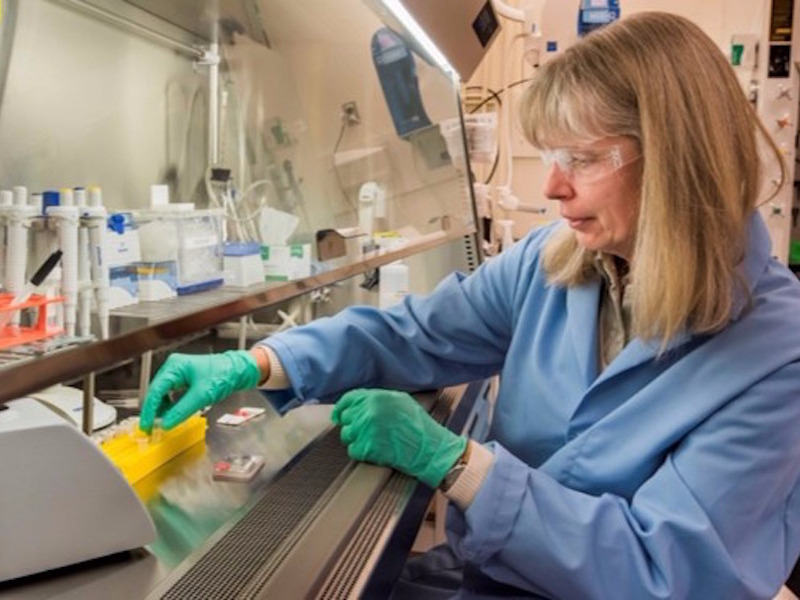 She’s leading a team of scientists responsible for the company’s research services that is beginning to influence everything from clinical treatment and drug development to insights into human development. Bear Douglas is the Developer Advocacy Lead at Slack. Douglas just joined Slack from Twitter to help it serve and attract developers. There are already hundreds of apps that integrate with Slack but Slack is so serious about this area, it is investing in Slack-based startups. Twitter offered a service called Fabric, a tool that helps them improve their apps. 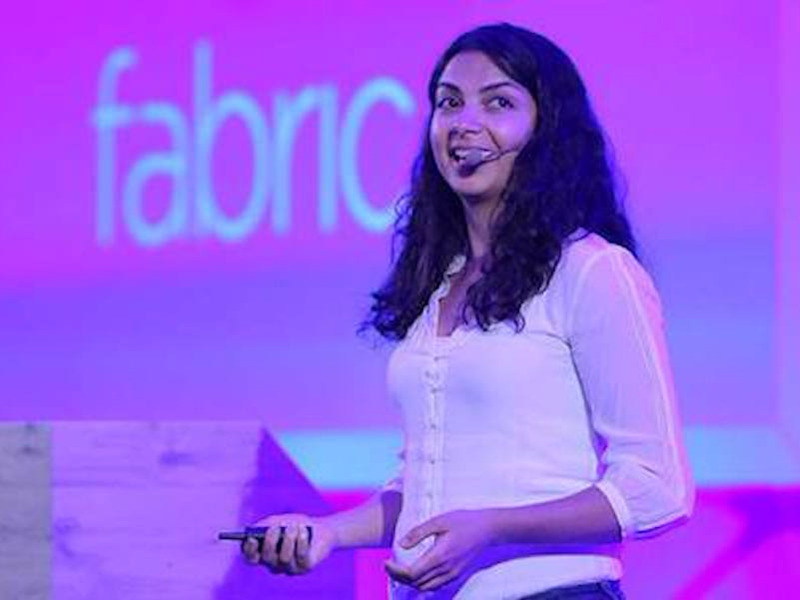 She helped convince 580,000 developers to use Fabric. Twitter just sold it to Google in January. Although her background is in anthropology, archaeologic and economics by education, she was a kid coder who self-taught herself mobile apps and has earned the respect of the dev community. 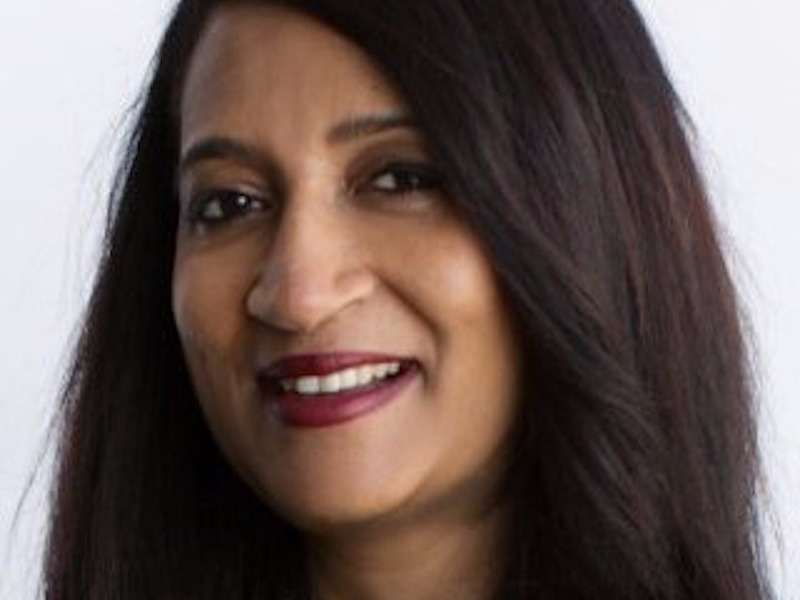 Raji Arasu is Intuit’s senior vice president of Platform and Services where she’s responsible for a global organization. Her task is to support developers and third-parties who build products that tie into Intuit’s core products. She’s the former CTO for StubHub who earned her stripes at Oracle and eBay early in her career. She’s also an advisory board member of Code.org, a non-profit dedicated toward training more people to code, particularly women and minorities. And she’s on the board of federal tech service provider NIC. 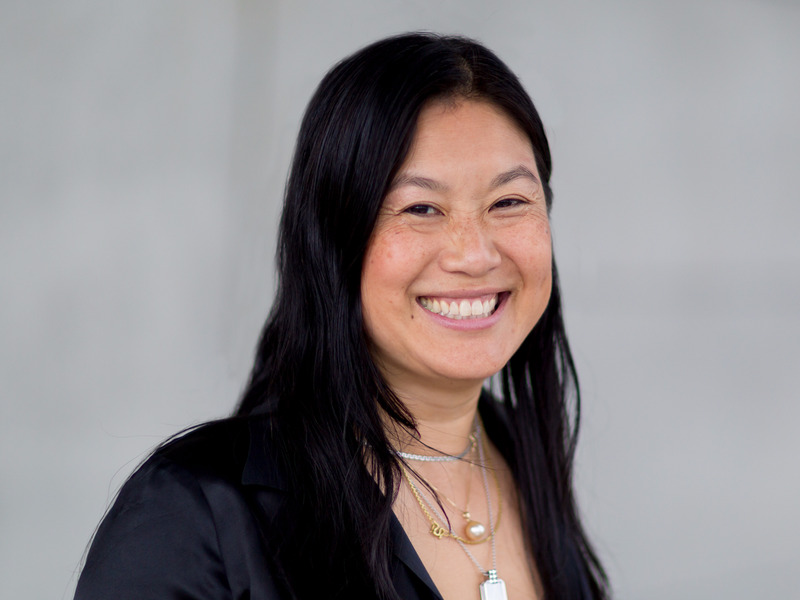 Deb Liu is the vice president of Platform & Marketplace at Facebook. 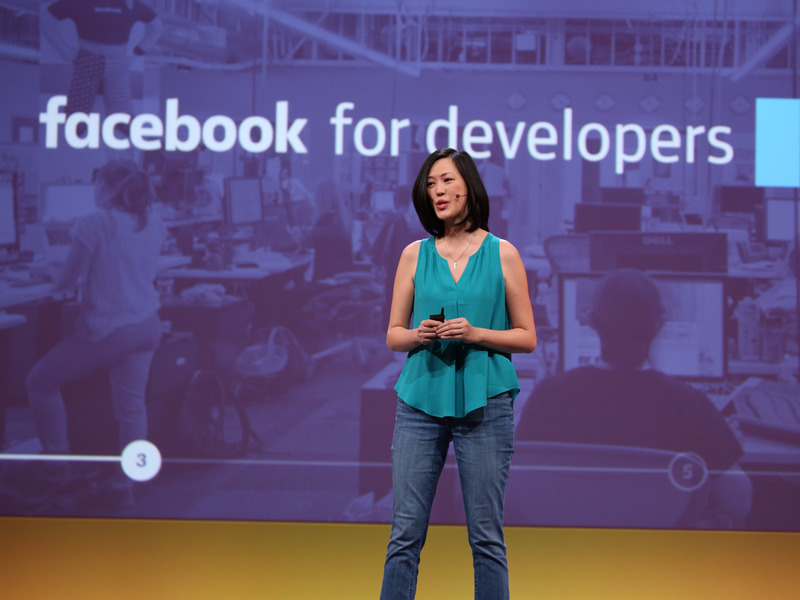 She runs product management and engineering for Facebook’s developer and commerce businesses. The unit includes dozens of products that allow third parties and apps to make money on Facebook. For instance, she led Facebook’s games business, manages the payments platform, led the business unit’s first mobile ad product and she collected a handful of patents along the way. She also serves on the board of a nonprofit that encourages girls to enter STEM careers, Expanding Your Horizons Network, and, last year, co-created the networking organization Women in Product. Melody Meckfessel is senior engineering director at Google’s Cloud Platform. That year, she took on the role she has today, leading Developer Tools and Signals for Google’s Cloud Platform and its engineering teams. 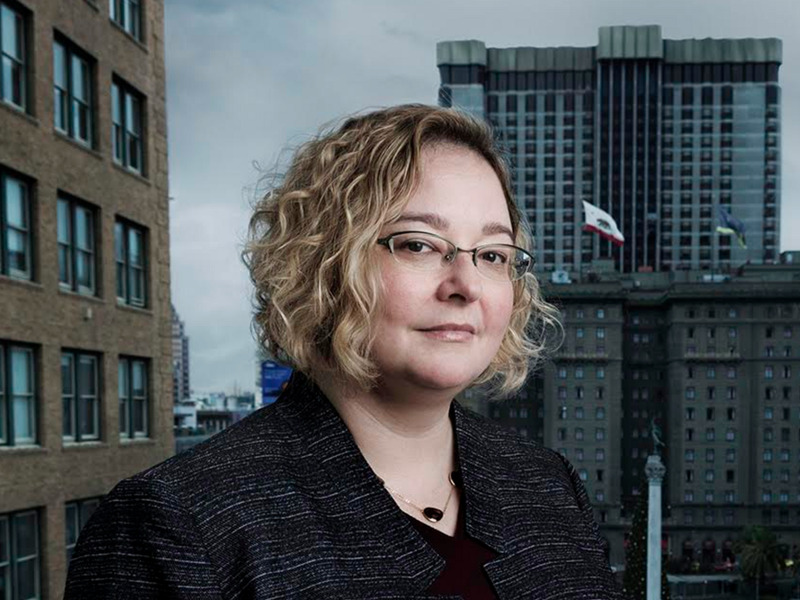 Kate Bergeron is vice president, hardware engineering at Apple. Bergeron is a key player on the team that develops Mac accessories, like its mouse and its keyboards. She’s part of the Apple design labs known as the Input Design Lab, which has worked on items like Retina displays, rechargeable input devices, a force touch trackpad and so on, Backchannel’s Steven Levy reported in 2015. She’s been at Apple since 2002, working her way up from a senior engineer role. 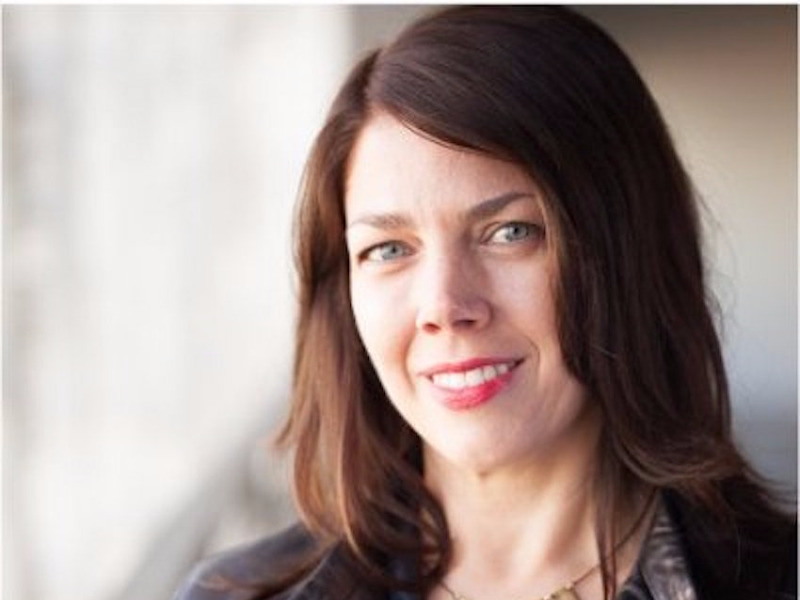 Myra Haggerty is vice president, sensor software and UX prototyping at Apple. If you like all the ways Apple devices respond to touch input, from the fingerprint sensor to multi-touch controls, you can thank Haggerty and her team. Although she’s virtually never in the limelight, rarely speaking at conferences or the like, she’s been at Apple for 23 years and has been part of multiple patents. Her work has influenced everything from the Mac to the iPhone. 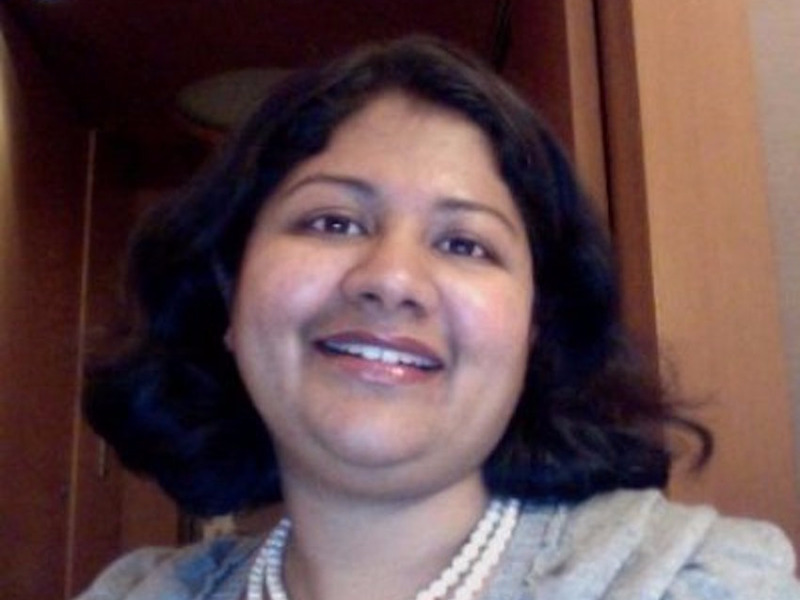 Aparna Ramani is the director of Engineering, Realtime Data at Facebook. She runs the team responsible for real-time data processing and analytics at Facebook, which is one of the major technologies that Facebook uses in Newsfeed. But these tools are also how Facebook iterates its service, figuring out which new features users like the most. Aparna’s team lords over an Exabyte-scale lake of big data, tackling unprecedented challenges. 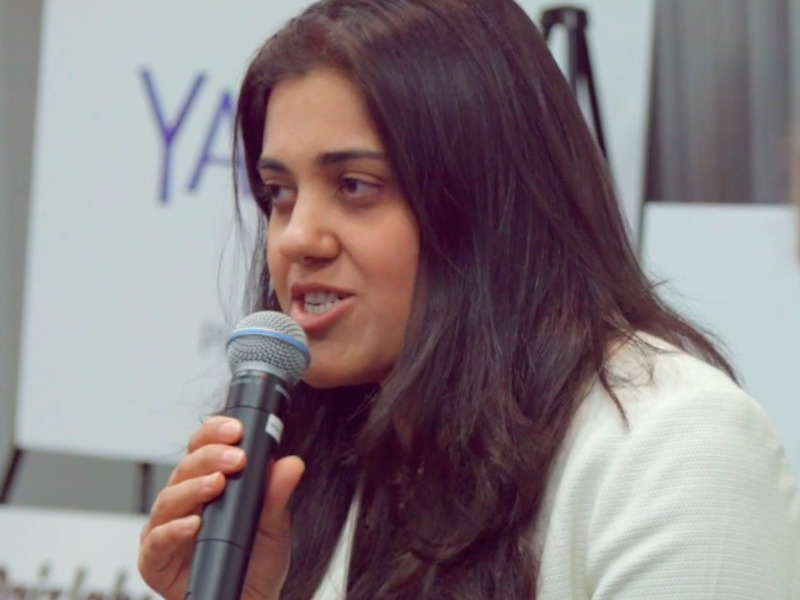 Prior to Facebook, Aparna led product development at Cloudera, the unicorn big-data startup. Sophia Velastegui is head of silicon/product architecture roadmap at Alphabet’s Nest. That means she’s responsible for the chips in Nest’s smart home appliances— everything from managing suppliers of custom chips (hard stuff) to device security (also hard stuff). She joined Nest from Apple in 2014, around the time Google bought Nest. She’s been awarded a number of patents and is also active in the greater tech community. For instance, she’s on the advisory board of Georgia Tech – Woodruff School of Mechanical Engineering, involved in its Create X incubator, and is an avid supporter of Elwyn.org, a school for children and adults with disabilities. 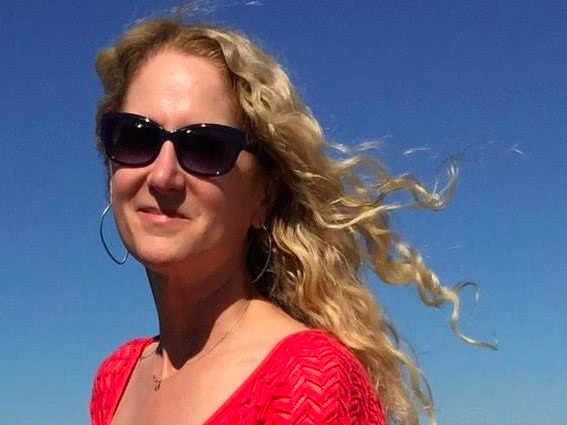 Jill Wetzler is director of engineering at Lyft. She leads the ride-sharing company’s core services and infrastructure organizations. She also helped create UpLyft Tech, the internal group that celebrates diversity and inclusion within engineering. She came to Lyft from Twitter, where she managed teams of engineers and data scientists. 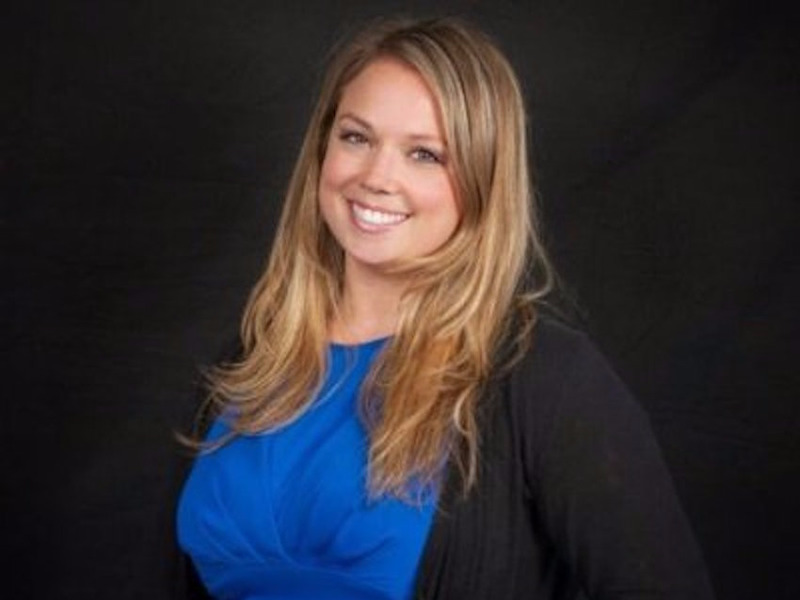 She began her career at Salesforce, working her way up from entry level to manager. 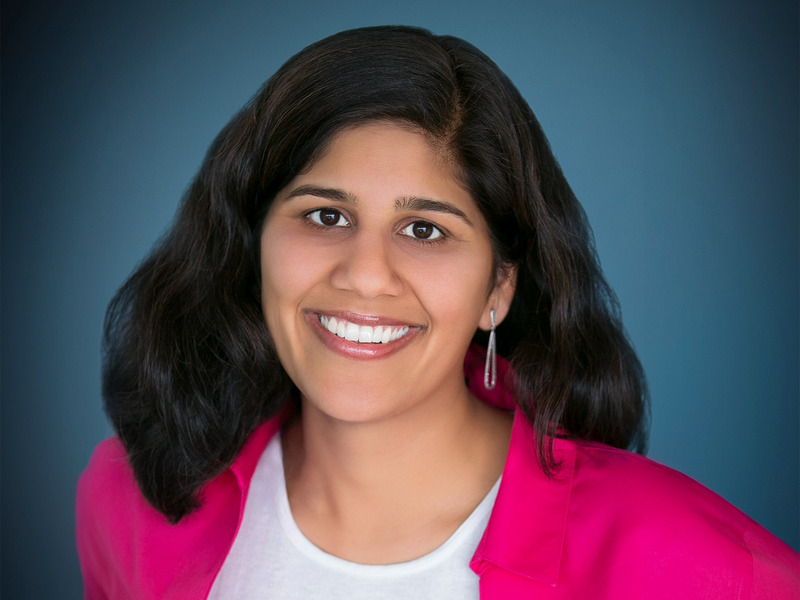 Komal Mangtani is head of business intelligence at Uber. She’s a member of Uber’s engineering leadership, having joined Uber from Box where she was previously the head of engineering there. Box poached her from VMware. The BI team is the critical underbelly at Uber. It provides real-time analytics to enable millions of real-time financial transactions while combating fraud. Her team also provides the tech that allows the business to analyze things like new market opportunities and overall business performance. Mangtani is also active in promoting women in tech. She serves as an advisory board member of Women Who Code. 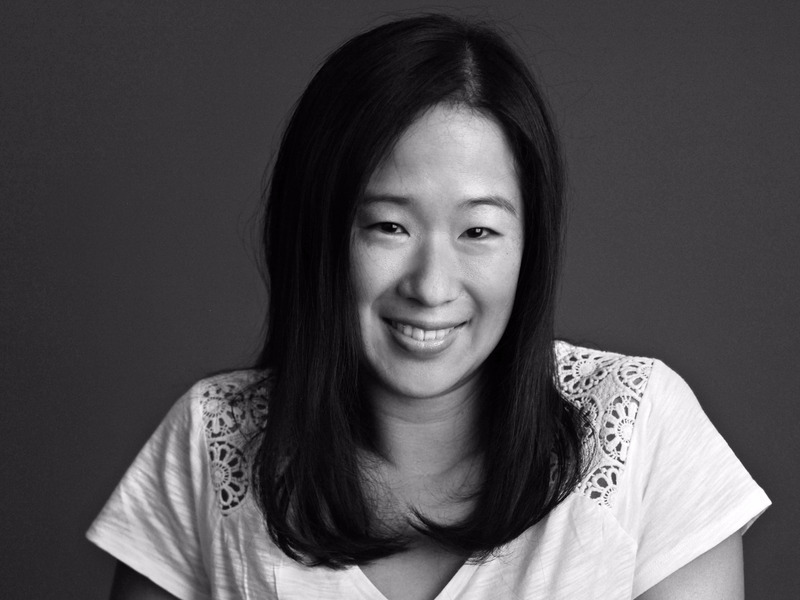 Clara Liang is a director of product at Airbnb. She leads the product teams responsible for trust and safety, experience architecture and infrastructure. That means she has her hand in everything from the company’s all important anti-discrimination efforts to its developer tools. 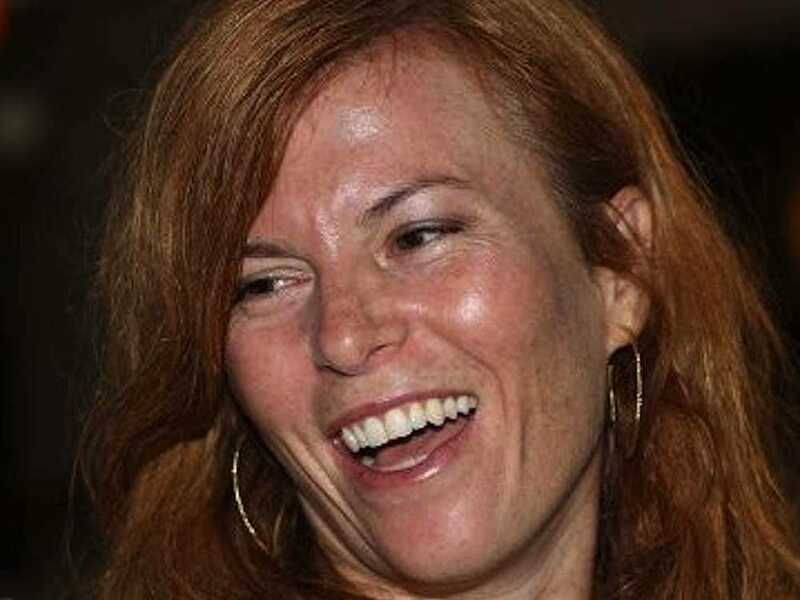 She was formerly the chief product officer at Jive and cut her teeth at IBM before that. Joy Dunn is SpaceX’s lead of New Product Innovation. She runs the task force that brings new products into production while maintaining the resources for existing rocket programs. 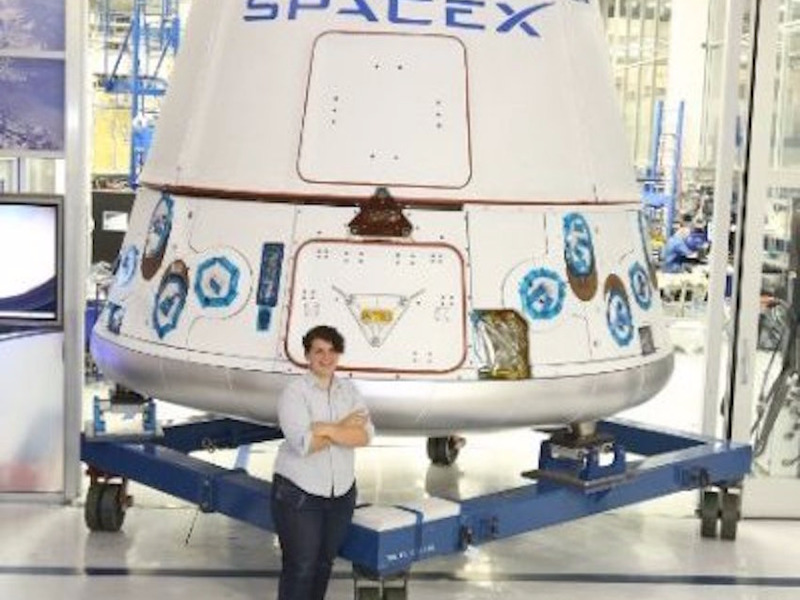 She’s been at SpaceX since 2009 and has worked on everything from the first commercial spacecraft in orbit, to docking with the International Space Station, to the passenger rocket, the Crew Dragon vehicle. In her previous role of senior manager of Dragon engineering, she led a team of 65 engineers who built the Dragon rocket ship. When she’s not building rockets she can be found helping out a whole list of organizations that encourage kids to explore science and tech. 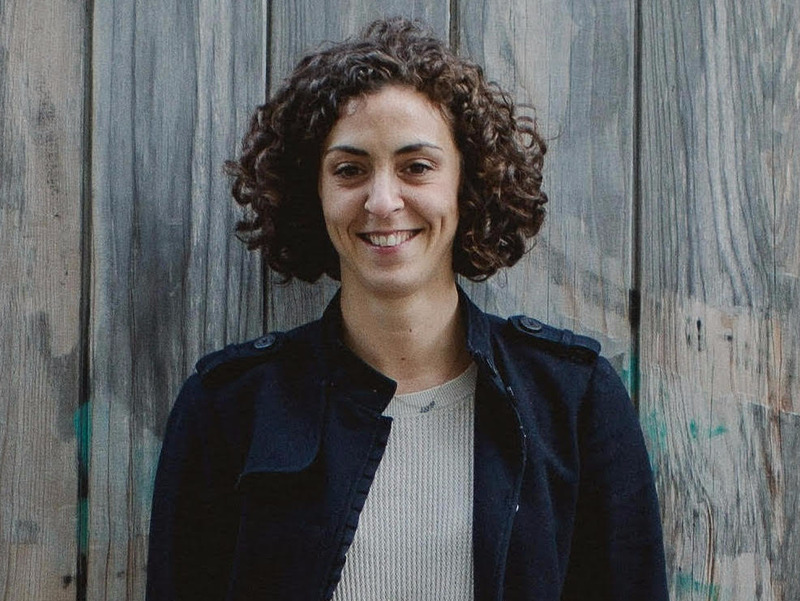 Tamar Bercovici is Box’s director of engineering. She’s responsible for the teams building Box’s database, cache, messaging and computer infrastructure. She’s been at Box since 2011, well before its IPO, joining as the first woman hired to its infrastructure department and working her way up from there. A year ago, she was issued her first patent for a technology that helps clouding computing systems update data. 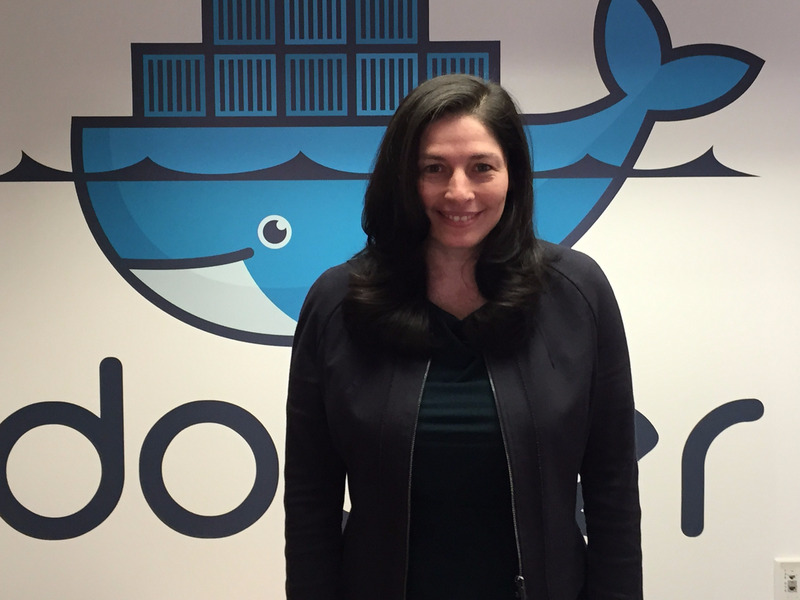 Marianna Tessel is the senior vice president of engineering at Docker. Docker invented a whole new category of software development tools called containers that have, in a few short years, taken the tech industry by storm. Tessel was poached from her VP of engineering job at VMware a couple of years ago. Containers are seen as the disruptive technological heir to the tech that VMware invented in the 1990s, (known as virtualization). So it was a major score for Docker when Tessel joined its team. Even before VMware, she had a long history of building engineering teams. She worked as a VP of engineering at Ariba and at early handheld device maker General Magic before that. Isabel Mahe is Apple’s vice president, wireless technologies. 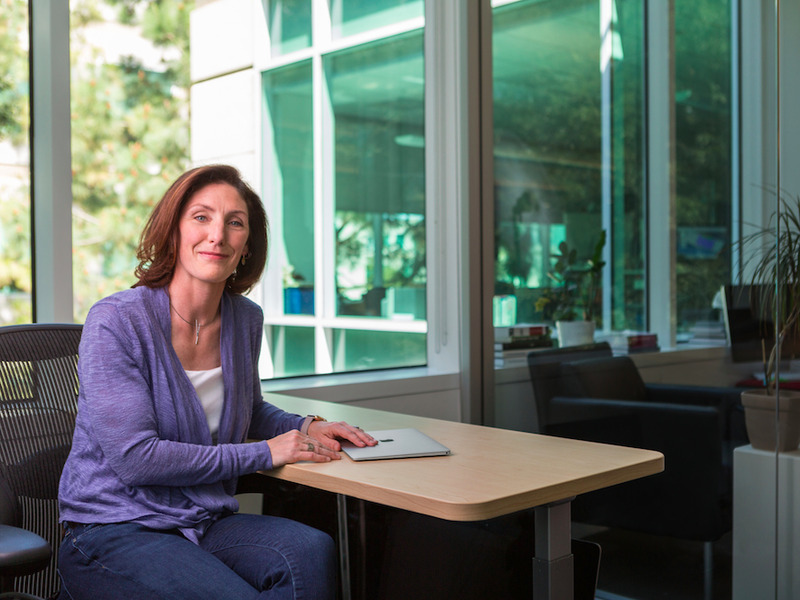 She runs an enormous team of engineers who handle the wireless technologies embedded into various Apple’s products. Apple’s products are loaded with wireless features including WiFi, GPS, Bluetooth, NFC chips and its own home-grown tech. 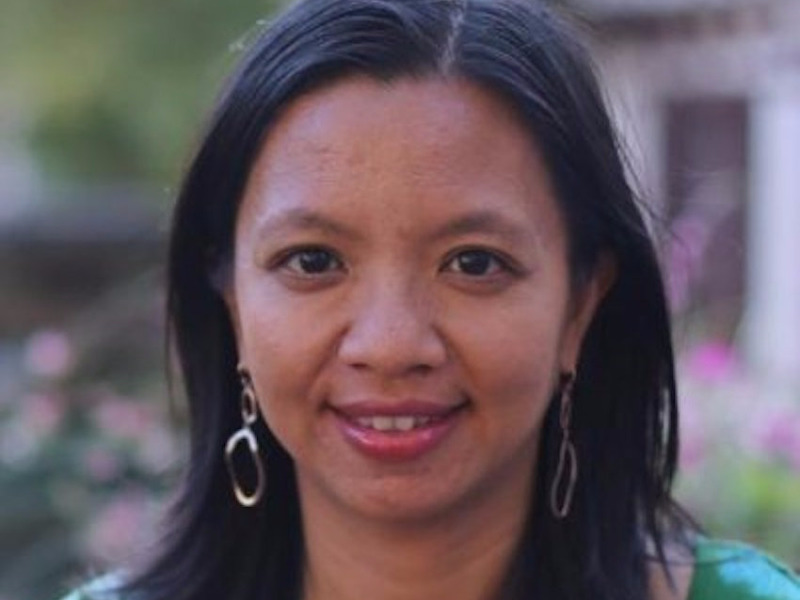 Mahe was recruited by former Apple exec Scott Forstall and the company’s late CEO Steve Jobs back in 2008, poached from then-hot mobile device company Palm, and she has a number of patents to her name. 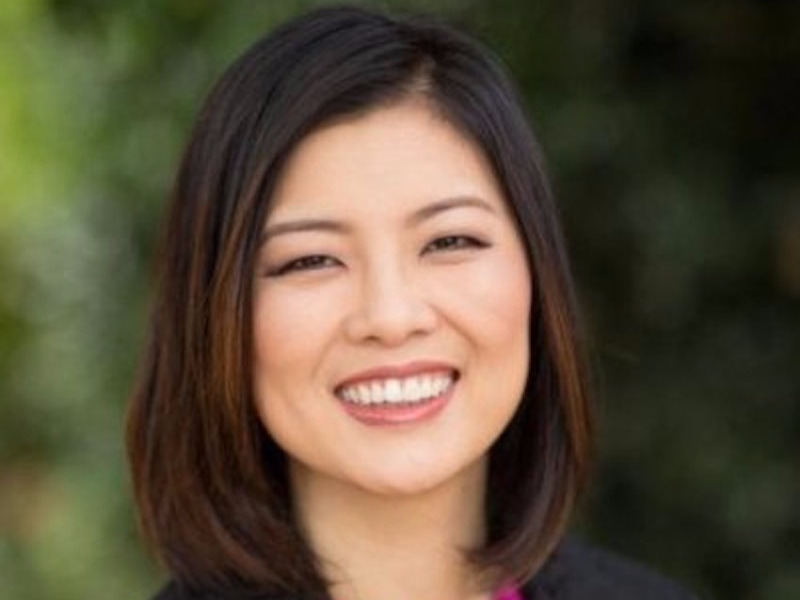 She also serves as an industry advisor for UC Berkeley and an advisor for the Silicon Valley China Wireless Technology Association. 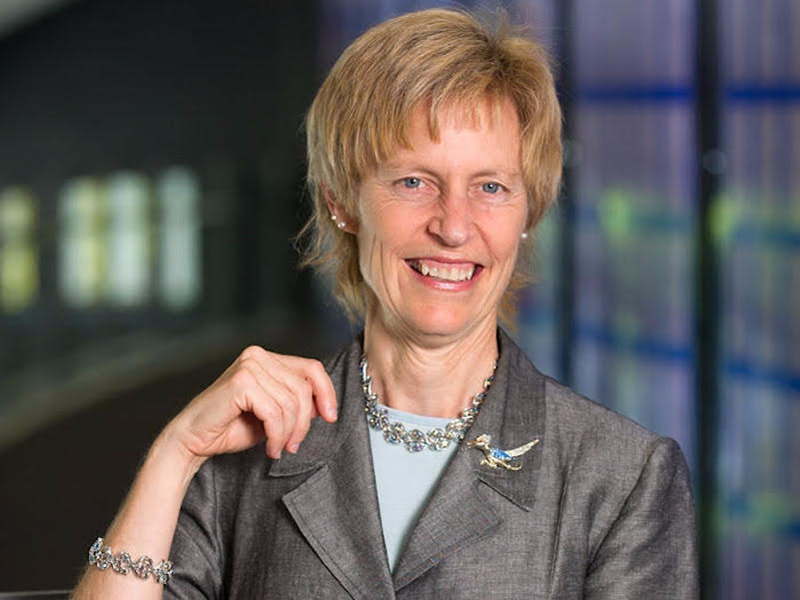 Susie Armstrong is senior vice president, engineering at Qualcomm. She’s been at Qualcomm for 22 years and is known as one of the engineers who pioneered the mobile Internet, inventing the software that allows cell phones to deal with data. That means everything from accessing web pages to using apps and viewing photos. 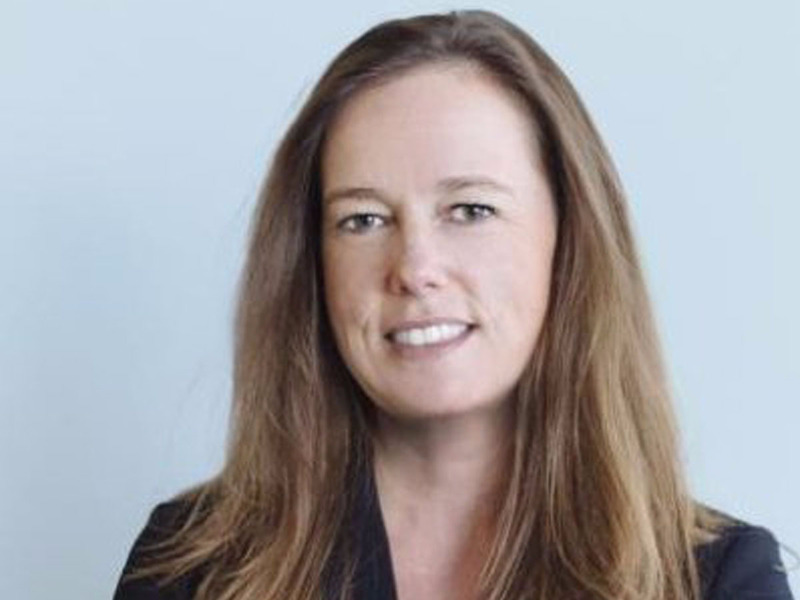 In her time at Qualcomm she’s led a variety of teams ranging from software engineering to the mobile chip-set division and she’s served as the head of worldwide customer engineering. She’s known internally for her work leading the Qualcomm Thinkabit Lab, a classroom engineering lab where students can make stuff. Sarah Clatterbuck is director of engineering for LinkedIn’s Application Infrastructure. Clatterbuck leads a team that works on what’s known as “presentation infrastructure,” the tech that dictates the usability and the look of LinkedIn’s products. For instance, she built LinkedIn’s Accessibility team. And she built an open source team to work with LinkedIn’s flagship application architecture, internally known as Pemberly, the largest-scale Single Page App (SPA) in the industry. She’s also filed for two patents. She’s active in the women in tech community, a sponsor of the company’s high school internship program and she serves on the board of Girl Scouts of Northern California. 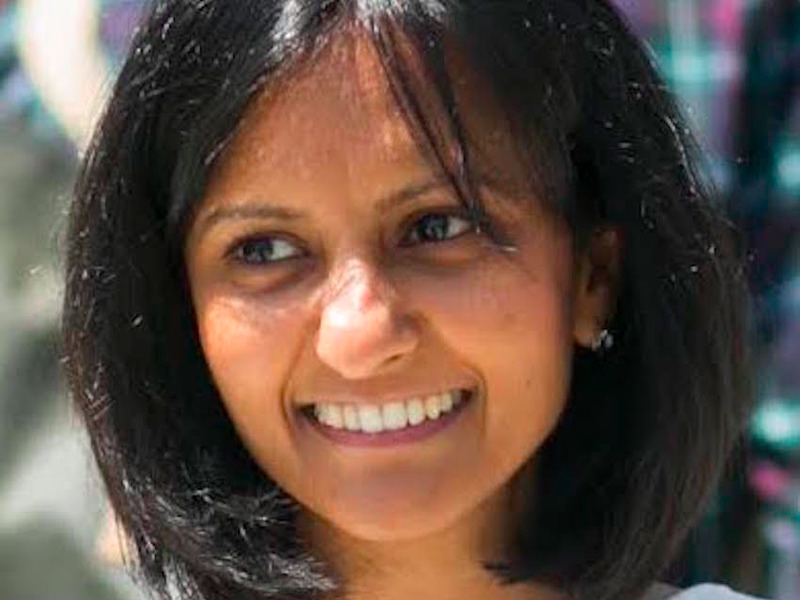 Anjali Joshi is vice president of Product Management at Google. 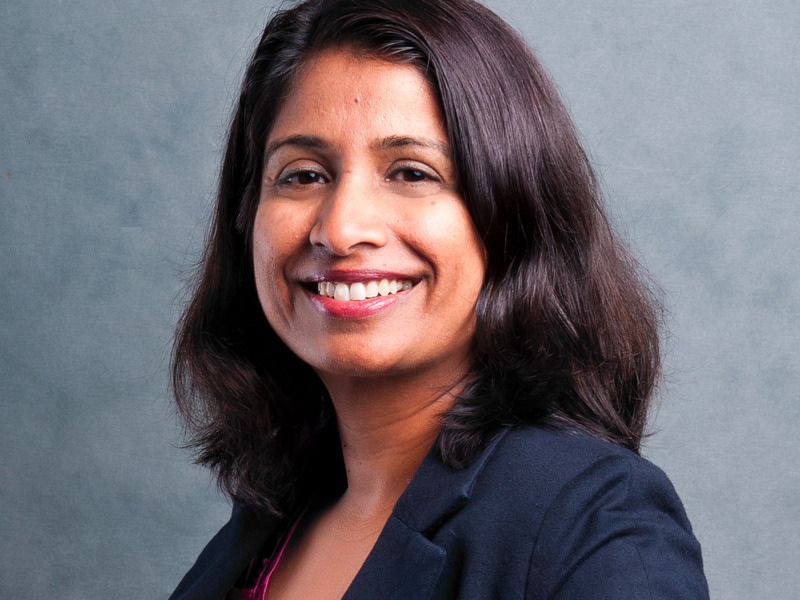 In her 10+ years at Google, Joshi has worked as a product and engineering lead for numerous products including search, image search, health search, maps, translation, localization. She’s worked on Google Fiber, Google’s cloud and infrastructure as well as News and Finance. She’s known internally as a engineer leader that can tackle really large complicated problems. She got her start in the telecom industry, launching her career at AT&T Bell Labs. She’s responsible for engineering processes across Twitter’s over 1,000-employee strong technical organization. She’s also a key player involved in the company’s product strategy for emerging markets, specifically India, and she is the executive sponsor of Twitter’s organization for women, @womeng. Ramani has championed other projects, too, such as Twitter’s Early Bird Camp internship program for college sophomores and the Twitter Academy internship program. Prior to Twitter she was a vice president at Oracle. 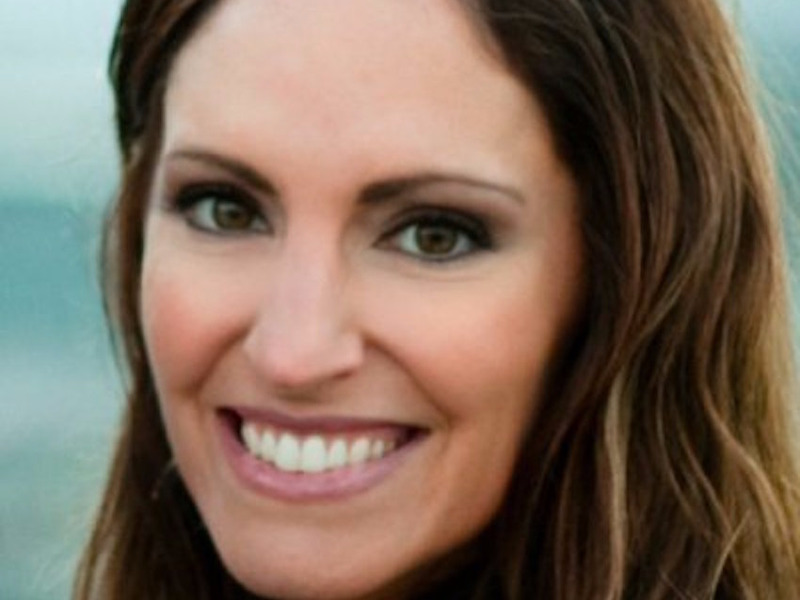 Jana Messerschmidt is vice president of Twitter’s Global Business Development & Platform. She’s been at Twitter since 2010 by way of Netflix. It was her team that orchestrated most of Twitter’s huge partnership deals including deals with Apple, Google, IBM, Salesforce and Comcast. She oversess a huge organization beyond partnerships. It includes enterprise sales, developer relations, marketing and technical program management and data science. Messerschmidt is also known as a founding partner in #Angels, a team of senior women business leaders, mainly from Twitter, who are investing in early stage startups. Jocelyn Goldfein is a general partner at VC firm Zetta Ventures. Goldfein is one of the best-known female engineers in the Valley. When she was at Facebook, she brought machine learning algorithms to the News Feed and led some of the company’s successful moves into mobile. At VMware, she worked on the company’s bread-and-butter tech, known as virtualization and also launched the company’s $150 million desktop business. Before becoming a full-time VC, Goldfein was an active angel investor, who backed over 20 startups, particularly in infrastructure and AI. She on the board of Harvey Mudd College and lectures at Stanford. 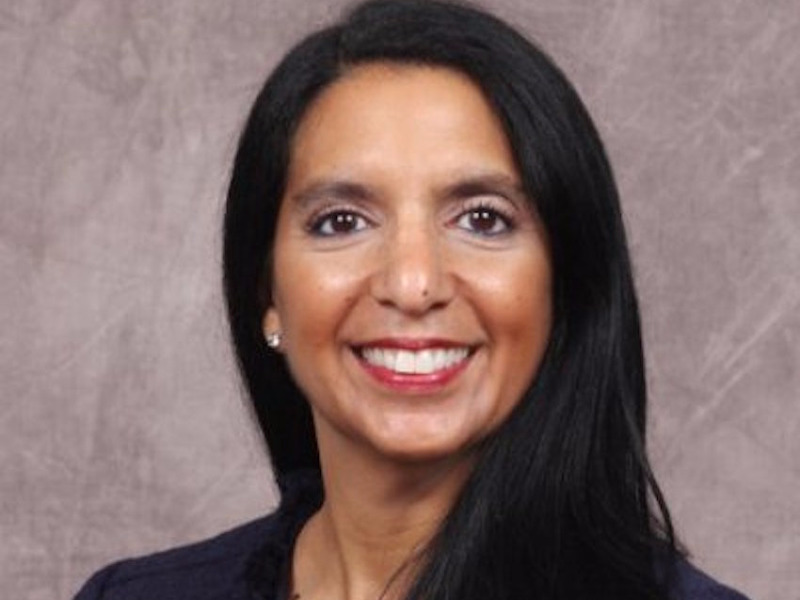 Rosa Ramos-Kwok is managing director of BofA’s Shared Services Operations Technology. She and her team are responsible for processing transactions, and a host of other projects ranging from supporting deposit products to a detecting money laundering schemes. Prior to BofA, she ran the American infrastructure for Morgan Stanley. Ramos-Kwok is also on the board of the Hispanic Information Technology Executive Council. 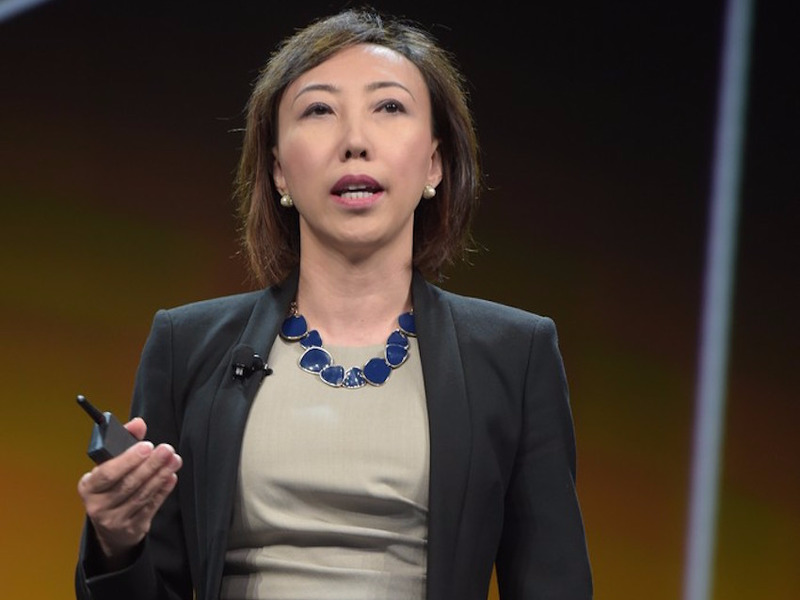 Yanbing Li is senior vice president and general manager of VMware’s Storage and Availability business unit. The group’s products are used by over 7,000 companies, VMware says, and the team has 1000 people in 5 countries. Li, who has a PhD in electrical engineering and computer engineering, has been with VMware since 2008. She led the company’s China and emerging market operations. She was named on this list in 2015, too, at rank No. 7 and so internally, her nickname became 007. 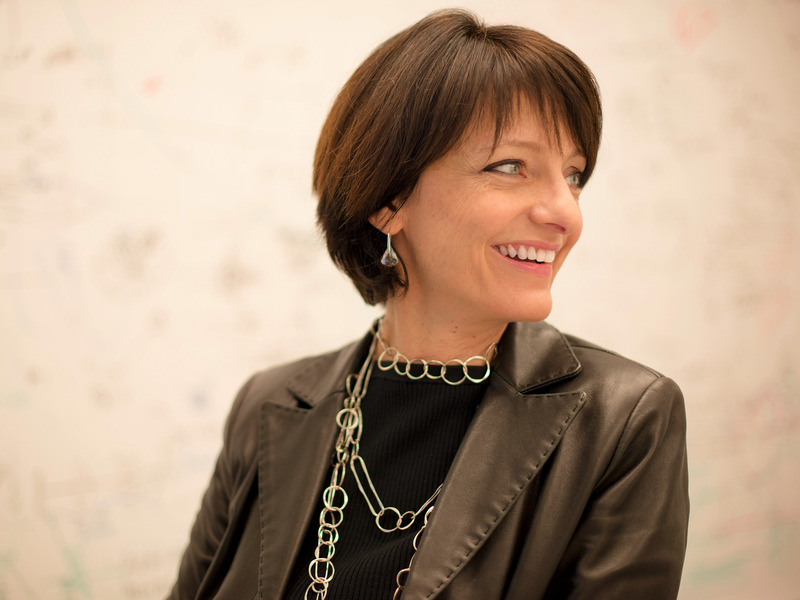 Regina Dugan is Facebook’s vice president of Engineering, for the Building 8 group. Dugan leads Building 8, the team responsible for Facebook’s moonshot projects. Building 8 is fairly secretive but we know her mission is to turn R&D into products, and fast. Prior to Facebook, Regina led the Advanced Technology and Projects team at Google and she served as a member of the senior leadership team at Google-owned Motorola Mobility. However, she may be best known for her time as a director of DARPA (the Defense Advanced Research Projects Agency), the first woman to lead DARPA. She’s responsible for the organization that handles Apple’s supply chain and manufacturing for iPhones. We don’t know how many people it involves but we understand that her team is massive and global. Her influence is global, too. For instance, she’s been instrumental in negotiating a new deal to manufacture Apple products in India, the Wall Street Journal reported. 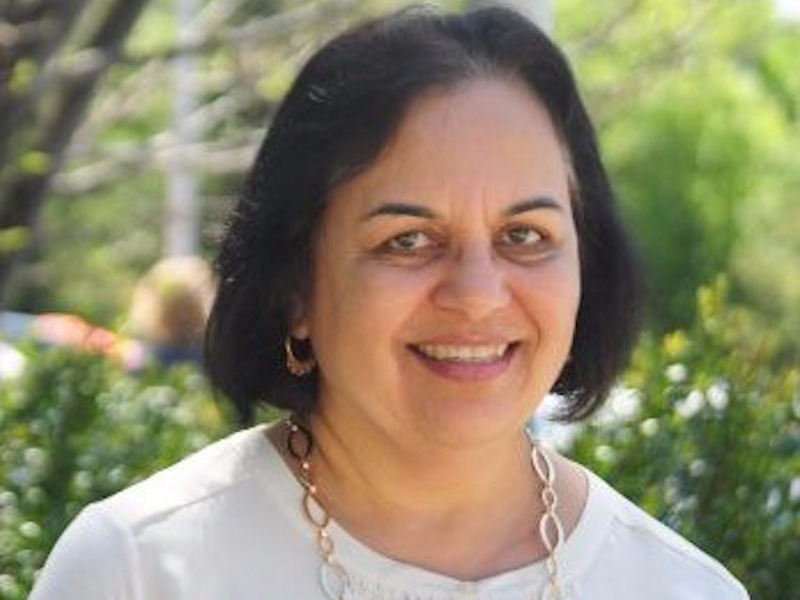 Balasubramaniam has been at Apple since 2001, working her way up in the international supply chain team. 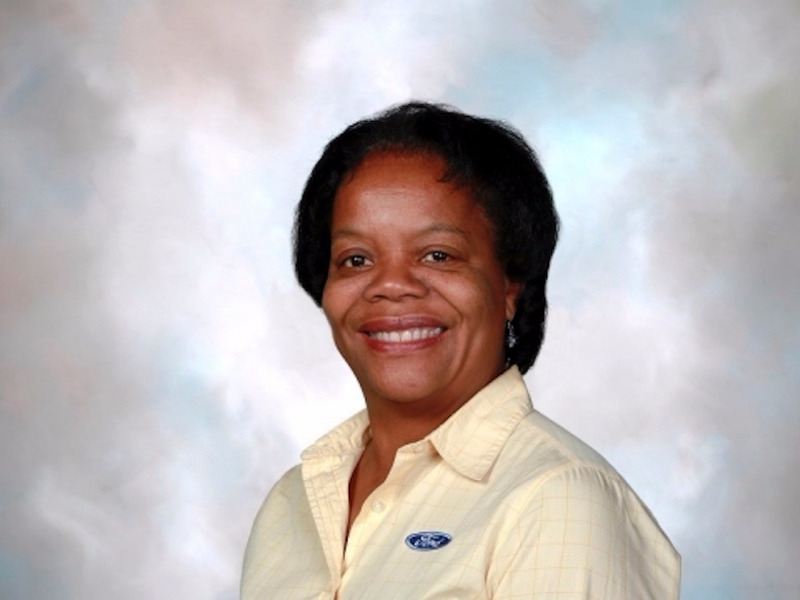 Curry holds a PhD in biomedical engineering (her specialty is human-machine/computer interaction) and has used that expertise at Ford’s Research and Innovation Center to build safer cars. She’s a member of the VIRtual Test Track EXperiment (VIRTTEX) laboratory, home of one of the world’s most advanced driving simulators. She’s published dozens of papers on her research and has been granted Ford’s prestigious Henry Ford Technology Award, not once but twice. She’s also a leader in the National Society of Black Engineers. 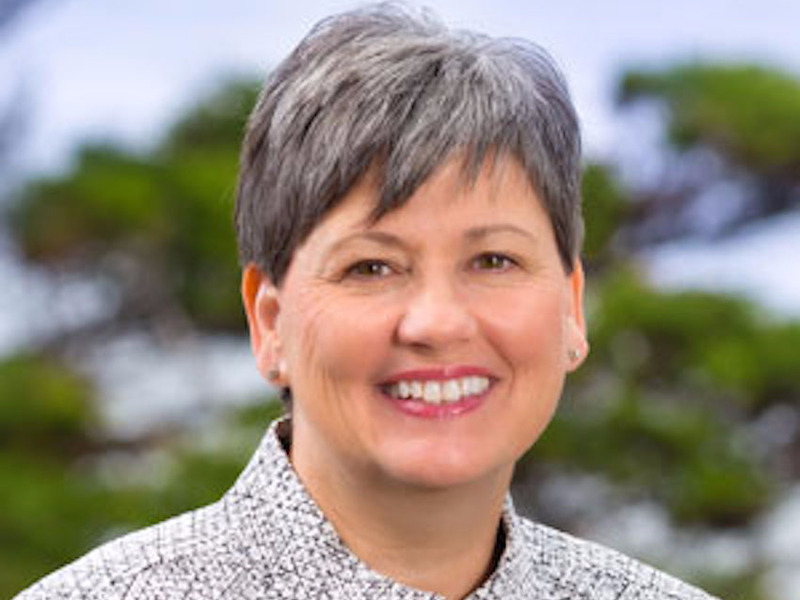 Barbara Rusinko is executive vice president of construction giant Bechtel’s Nuclear, Security & Environmental business unit and president of Bechtel National, its U.S. government services arm. She was promoted to the role about a year ago. With that promotion, she leads a multibillion dollar business of engineering and construction projects for the US government ranging from national security to environmental cleanup. She’s been at Bechtel for more than 30 years, rising from an engineering intern to the top-ranked woman at the company. Jill Hruby is the director of Sandia National Laboratories, a federally-funded research center. She got the job in 2015 becoming the first woman to run one of the nation’s three nuclear weapons labs. During the years prior to her promotion she worked on everything from nuclear weapons to solar power. In 2016, the Society of Women Engineers honored her with its “upward mobility” award, for breaking the glass ceiling in one of the world’s most respected engineering organizations and for helping other women in the field as well. Peggy Johnson is executive vice president, Business Development at Microsoft. She is Microsoft CEO Satya Nadella deal maker. She and her team were key in the company’s enormous $26 billion acquisition of LinkedIn. But she’s done lots of other deals, too. 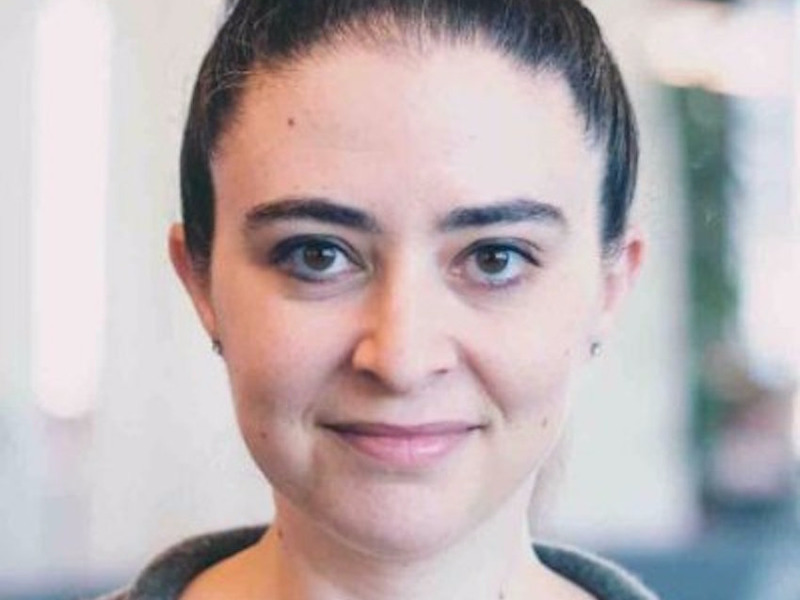 For instance last year she helped the company establish an artificial intelligence center in Montreal with the acquisition of a startup, Maluuba, she orchestrated an investment in the AI incubator Element AI, and led a collaboration with pioneer Yoshua Bengio. She also established Microsoft Ventures, the company’s corporate VC fund. And she’s on the boards of international health organization PATH and Live Nation Entertainment. Johnson cut her teeth as an electrical engineer coming to Microsoft from Qualcomm.